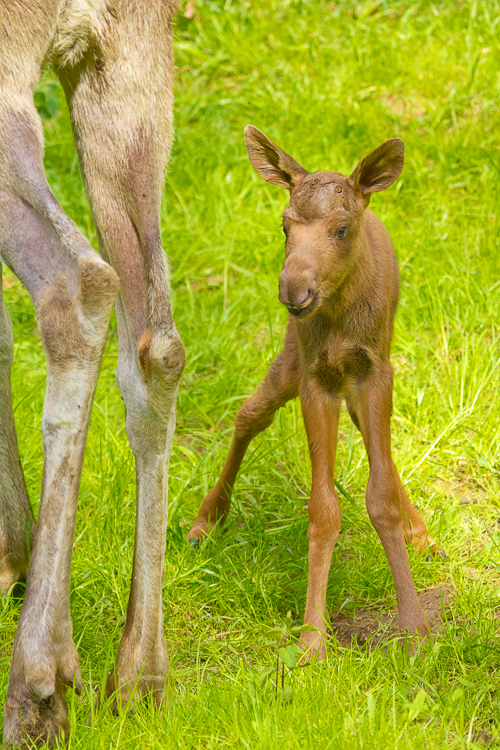 The moose offspring 2011 in Wildpark Hundshaupten were twins again. Nature can be cruel, one of the two calves died in his second night. The other one on this photo - just 7 hours old - will hopefully live long and prosper (to use the words of Spock).